It’s no surprise rent in San Francisco has reached all time highs. A simple Craiglist search shows studios now ranging from $1,595 to $3,050, with the vast majority of units asking $2,100-$2,500 a month. And according to a new study performed by WalletWyse, San Francisco is THE most expensive city to live in the world. In order to save money, people have found new and interesting ways to hack San Francisco Housing. People will go to insane lengths to save money in the foggy city, including living in vans, trailers, and living rooms. Many others choose to live in hacker houses or coliving spaces that may offer recontrolled prices. 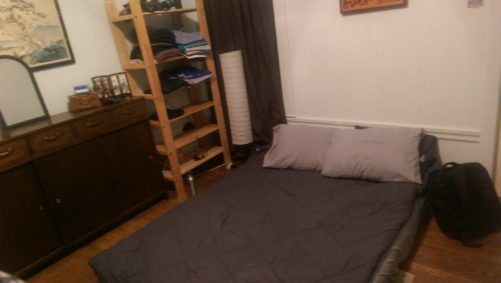 Most new residents of San Francisco tend to find a 2 bedroom apartment, put up curtains in the living room, and convert that into a 3rd bedroom. This usually results in a lack of privacy for all residents and a lack of space to entertain guests. We had lived a few months prior in a large, 3 bedroom apartment in Menlo Park when we were working on our startup, FreeSkies. A few months later, we found ourselves wanting to move into downtown San Francisco. We knew we would have to try something new to save money in the city, but didn’t want to live in a car or have to put curtains up in our living room. I was going to hack san francisco housing! During our housing search we found an apartment on Russian Hill in San Francisco. 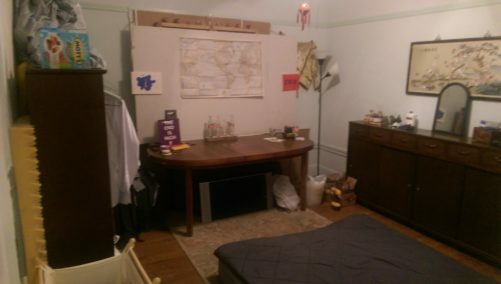 A small, quaint apartment with 2 bedrooms, 1 bath, and fully furnished. But what really caught my eye was the large dining room, a hard to find space in many modern apartments. 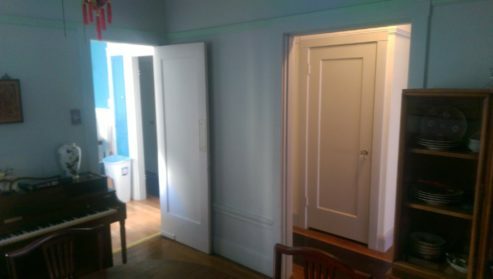 The original dining room had entrances into the living room, the kitchen, and the hallway. It didn’t have the privacy or insulation I was looking for, but would serve as a good building block for my master plan! I was going to build my own walls! 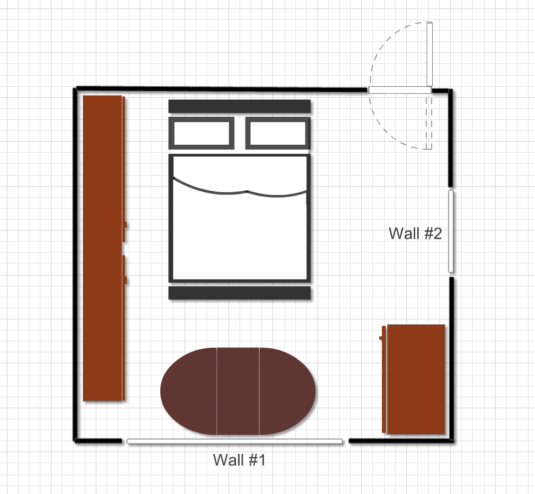 My plan was simple, design 2 wall sections that would close up the hallway and the living room entrances, while using the kitchen entrance as the door to my room. I measured the openings and set to work. The next day, I set up our outdoor patio in San Mateo and converted it into a makeshift workshop for the next week. 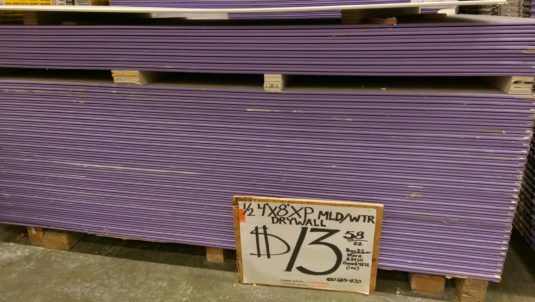 I bought some drywall at home depot, bought an electric saw and drill off craigslist, and got free, recycled 2×4 wood from the solar car group at Stanford. Total cost of materials was $74.32. In the image above, I began building the inner frames for the 2 walls with the recycled wood. Drilling into the wood was more challenging than I had initially imagined. The wood consisted of multiple layers of different wood glued together so that it could withstand the varying humidity that the original container would have to withstand. Once the wooden frames were built, I prepped the drywall by pre-cutting them to form the shape of the frames. I decided I would install the drywall once we reached the new apartment. Game day! I loaded the frames, drywall, and the rest of my stuff into a Uhaul, and headed to our new home in San Francisco. 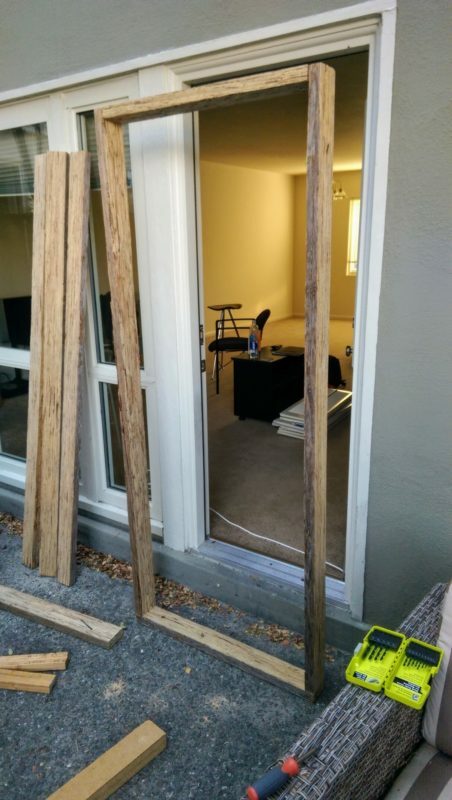 Once in the apartment, I placed the wooden frames in position and began to screw the drywall into the frames. I had underestimated the size of the living room wall and had to get creative with the drywall to completely enclose the opening. To stabilize the wall from within the room, I moved the dining room table against the wall to use as a desk. 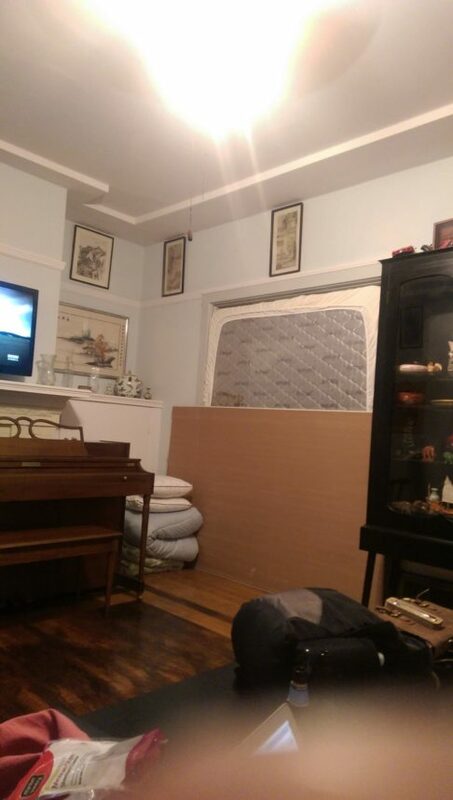 On the living room side, we took our extra queen mattress and placed it against the wall for soundproofing and insulation. 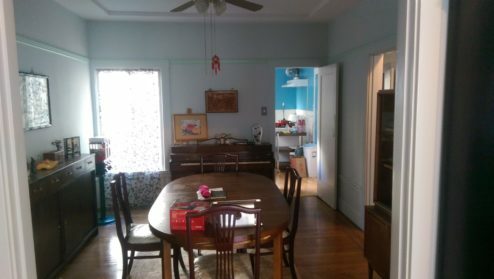 For under $100, I had converted the dining room into an entire room on its own. 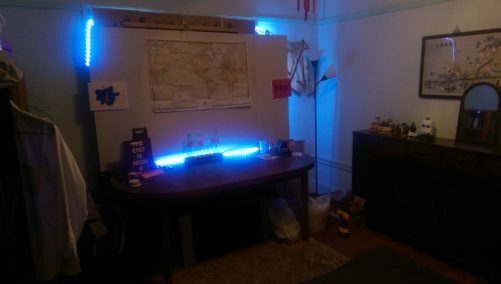 We still had our living room to entertain guests, and with the extra wood and drywall, I built a small bar in the living room. The images above show the inside and exterior of the final room. I had some extra shelves from our old apartment that was able to bring over for clothes and supplies. It was a near perfect room. Bigger than the average room in San Francisco, with a massive desk and plenty of space to walk around. I ended up living in that room for over a year. With the average rent in San Francisco hovering around $2000 a month, I ended up saving more than $9600 in rent that year. That, in conjunction with the other ways I saved money for travel, I was able to take trips around the world from the hills of Thailand to the tech central hub of Tokyo. Since then, I’ve helped build similar walls for others around San Francisco. Looking to build a wall yourself? Shoot me a message!